Maintaining healthy communication skills in a long-term relationship is of paramount importance to the continued success of your relationship. While a few couples out there may naturally communicate effectively and in ways conducive to both parties feeling understood and fulfilled, most of us have to put in the work to avoid getting stuck in negative patterns. 1. Don’t fight to win. One common and very simple way to escalate a disagreement is by keeping your focus on being correct. 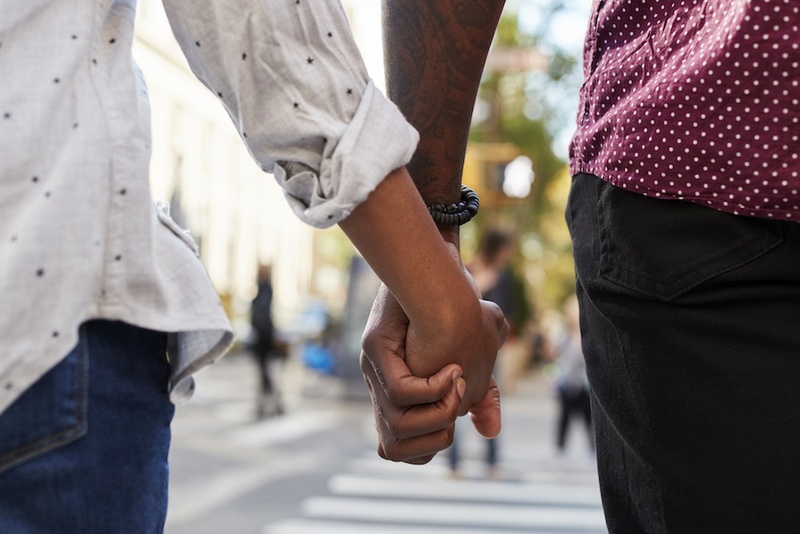 While there is often a great deal of satisfaction that comes from being right, let’s be honest: Where does it really leave you and your partner? Chances are, you get to sit with your feelings of validation but your relationship gets very little. Focus on what will bring you and your partner to a joint resolution instead of on proving your correctness. It requires a bit of humility but it is well worth it. 2. Deescalate the fight. Fighting can be healthy if it happens infrequently and doesn’t drag on for long periods of time. Most productive communication occurs through talking, not yelling, and it relies heavily on your ability to express your wants, needs, feelings and experiences clearly and without alienating your partner. As such, deescalate an argument as fast as possible because the real work will likely occur once you’ve calmed down some. 3. Don’t be avoidant. Revisit a conversation if you need more from it. If after a discussion or argument you still feel unresolved or like you haven’t been fully heard or understood by your partner, there is time to re-explore the conversation later but only if you bring it up. Some topics require more than just one or two conversations. 4. Just listen. Don’t listen only for the sake of formulating your next retort. Listen to understand what your partner is trying to share with you. To help with this task, I recommend trying this exercise together: One of you will be the designated speaker, and the other the designated listener. The speaker’s task is to speak for about 90 seconds about a topic of relevance to the relationship. The listener’s job is to listen with the knowledge that when your partner is done speaking, you have to summarize what they’ve just said, so listen carefully. As the listener, it is important that you do not slant the information nor insert any personal opinions as you paraphrase it back to your partner. Then switch roles and do the same exercise again. Afterwards, take a minute to talk about how it felt just listening. This exercise helps to promote effective communication in moments of conflict. 5. Don’t be an absolutist. Avoid using language like “You do this all the time” or “This always happens.” Instead, use words like “often” or “sometimes”; these words more accurately depict what you mean to express (unless there is a rare situation in which something literally always happens) and it helps to minimize feelings of defensiveness as your partner receives the information you’re sharing. 6. Talk about what you do want instead of what you don’t want. Telling your partner all of the things he or she is doing wrong is generally frustrating, angering and fruitless. On the other hand, discussing a preferred alternative behavior or way of talking about a particular topic gives your partner direction and helps to avoid them feeling attacked. 7. Don’t tell your partner how they’re feeling. Talk only about your own feelings and simply observe any statements about your partner’s thoughts and feelings as your perception instead of as fact. It is impossible for us to know precisely what our partners are thinking or feeling and suggesting that we do can lead to miscommunication and resentment. Relationships can be hard work, especially when we’ve become accustomed to behaving in ways that do not affirm our partnerships; however, with purposeful effort, ineffective communication styles can be replaced with healthier, more productive ones, making for an overall happier relationship.